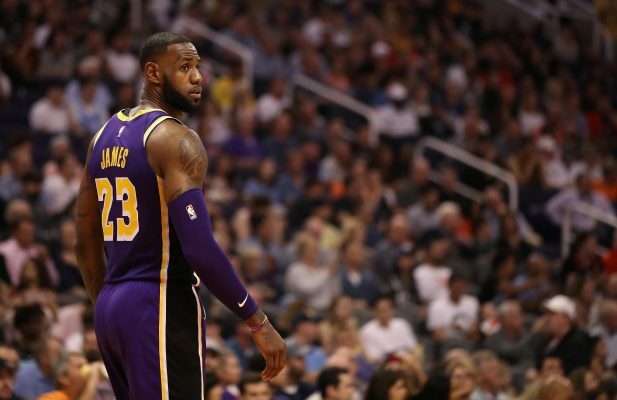 On Sunday night, Los Angeles Lakers star LeBron James took to Twitter to jokingly accept a challenge to play NBA great Michael Jordan. It took place when the former Chicago Bulls star appeared in an advertisement for Sunday Night Football. Coming from Jordan, it isn’t crazy to assume that he is referring to the decade’s long debate regarding whether he or James is the greatest NBA player of all time. While it was quickly revealed that Jordan was actually talking about NFL stars Aaron Rodgers and Tom Brady, that didn’t stop James from taking the bait. It’s great to see that both icons are having fun with their own legacies. Still, considering the fact that Jordan is now 55 years old, it is wholly unlikely that Jordan would ever agree to a one-on-one game against James. That doesn’t mean that James can’t improve his standing in the greatest-of-all-time debate, however. If James were to win a couple championships while on the Lakers, it would likely go a very way long way in convincing even some of his most committed doubters. Hopefully, all that and more happens while James dons the purple and gold.